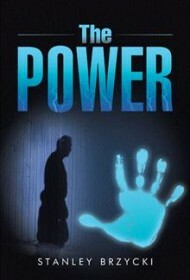 The Power posits a new take on the Jack the Ripper legend: Although authorities don’t realize it, Jack the Ripper had supernatural powers, and his descendants have continued his murderous ways. After three generations where Jack’s progeny had minor mental abilities, his gifts are back in full, and the slaughter is about to move to America. In Portland, Oregon, lightning strikes a car just as Paula Bristol gives birth to her son, Peter, in the backseat. The lightning at first affects Peter negatively. By age 2, Peter is diagnosed with “ADHD, Asperger [sic] syndrome, and mild retardation.” But after some trouble in elementary school, Peter’s problems mysteriously disappear, and The Power of the lightning takes over: Anything normal people can do with their hands, Peter can do with his mind. Meanwhile, on the other side of the pond, Newell, the great-great grandson of Jack the Ripper, has inherited Jack’s extra-sensory gifts. Coincidentally, these are the same abilities that Peter received when the lightning hit his mom’s car. Newell will be the most powerful in his line since the Ripper himself as he continues the family’s “mission” of ridding the world of prostitutes. As Newell moves from England and begins a killing spree in Portland — and is eventually joined by his vicious sister — it’s up to Peter to stop them or face the destruction of all he holds dear. Although jaw-dropping and graphic at first, the descriptions of grisly prostitute slayings soon lose their shock value. In addition, the coincidence of Peter and Newell receiving The Power at the same time is never explained. And while the amoral and villainous Newell is merciless to the women of the night, he is surprisingly less nasty in his treatment of Peter and his cohorts. In spite of these minor problems, the author creates enough suspense to keep horror fans turning pages. And, while the book ends with a distinct possibility of a sequel, the story’s conclusion should satisfy.